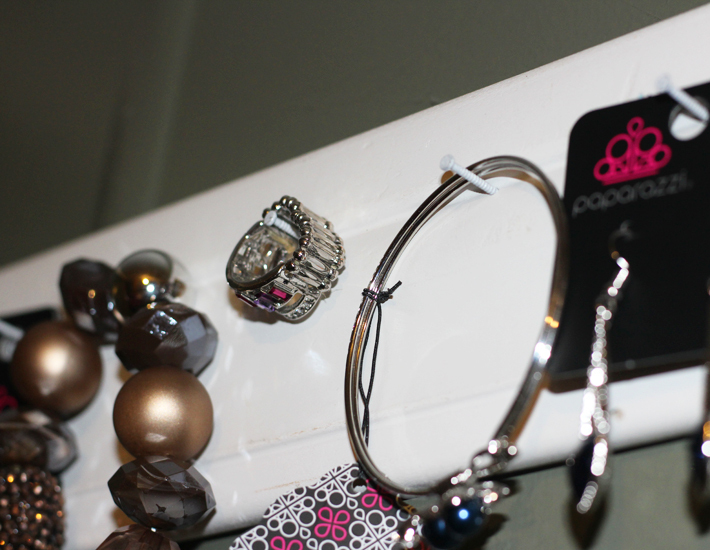 I used to have a tall stand up Jewelry Organizer until my son kept knocking it over. It was heavy and had a glass mirror in it. I was so afraid that he would knock it over and hurt himself, so I said so long to the stand up jewelry box. 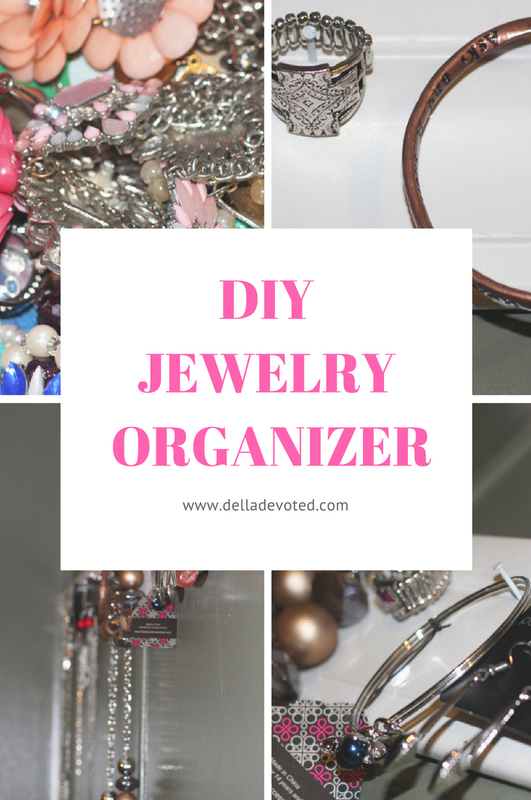 Since that day, I had been wanting a new Jewelry Organizer. I wanted something simple that didn't take up much space in our small home and I also wanted something that was safe for my son to be around. 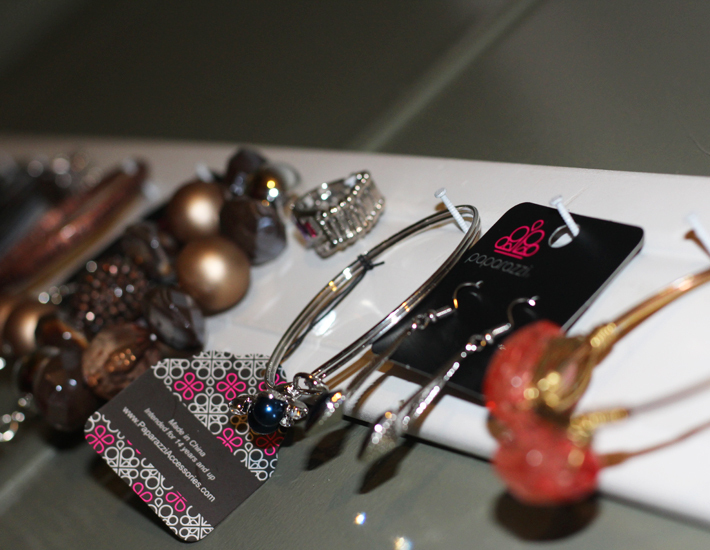 I had received new Jewelry for Christmas and all of my other jewelry was getting tangled up and lost. 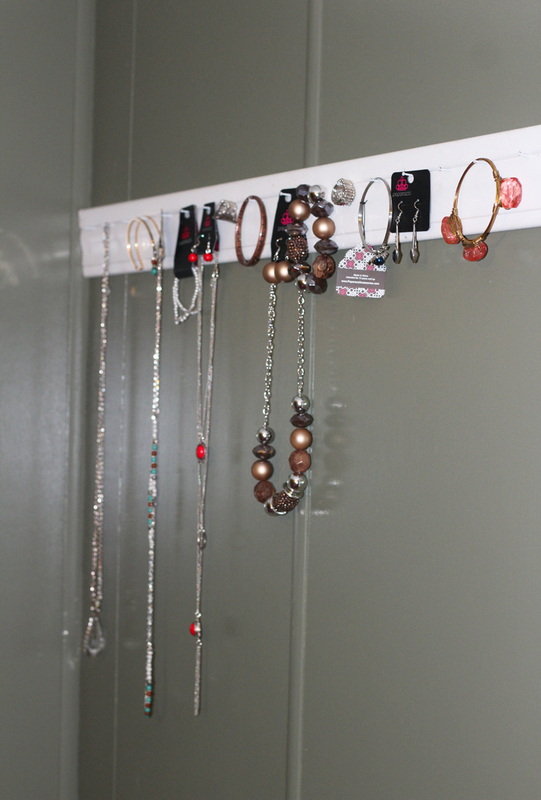 I didn't have anywhere to put any of it, so my husband and I came up with the neatest inexpensive jewelry organizer. 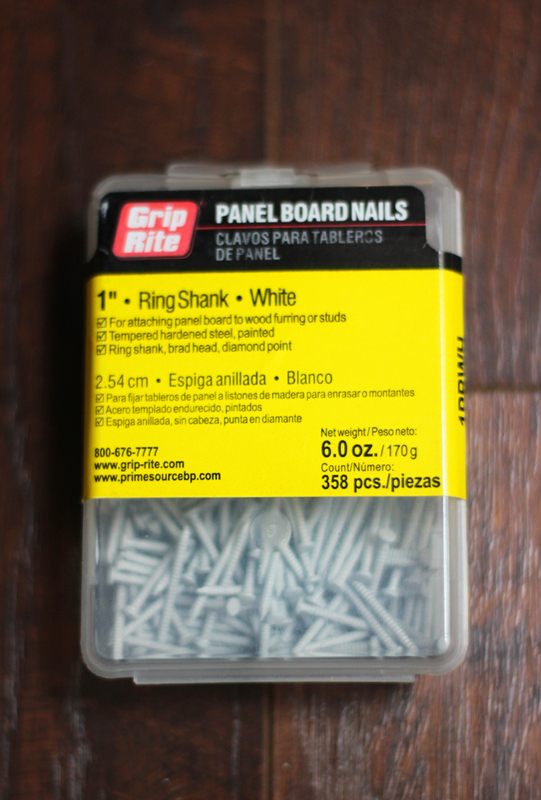 My husband inserted several white nails evenly apart into the trim and this is how it turned out. 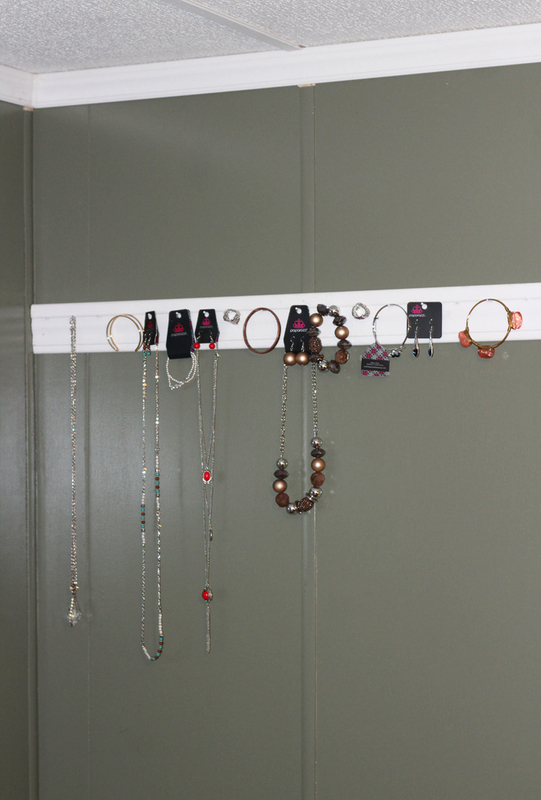 Isn't it just the most adorable little jewelry display? 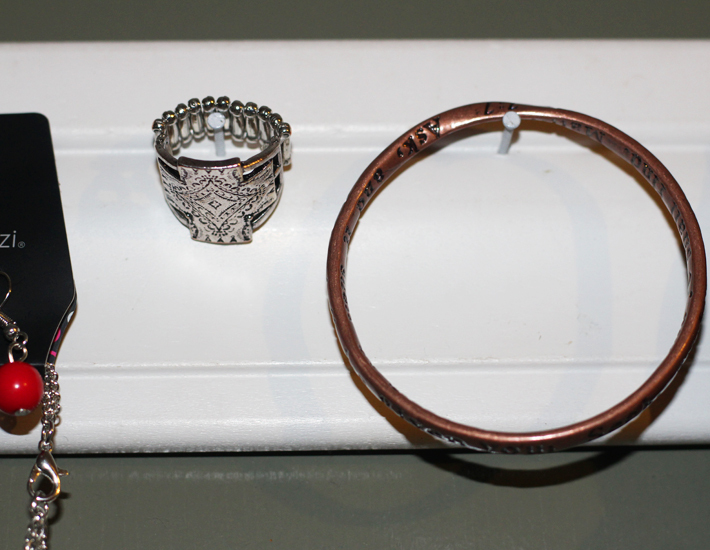 It holds my rings, bracelets, hoop earrings and necklaces. 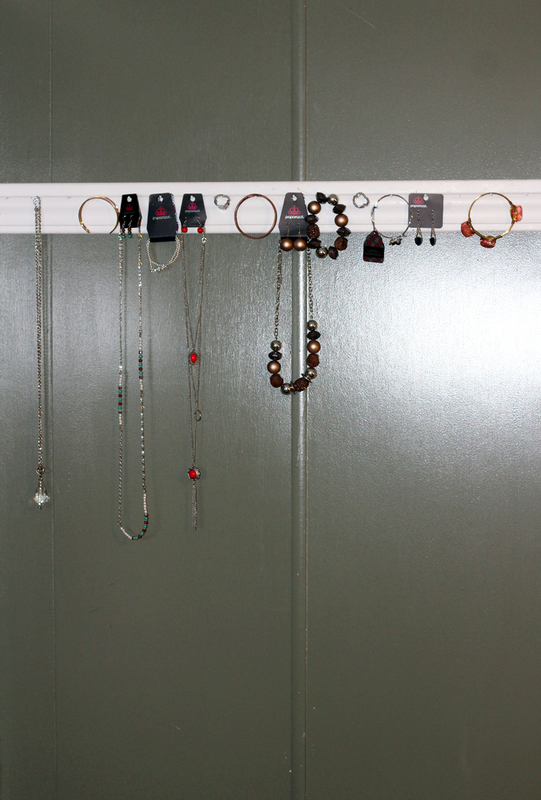 Now, this isn't nearly half of my jewelry but it's a start to my jewelry organization. 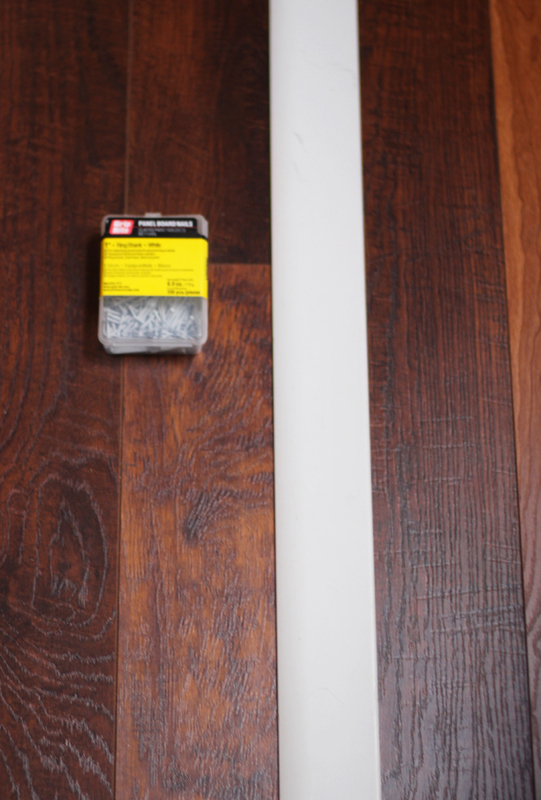 We plan on making a few more of these to hang on the wall, maybe below this one or to the side. It makes for a stylish display, yet safe enough for children to be near it. I love the simplicity of it and the convenience of being able to grab whatever piece of jewelry I want to use in a hurry. 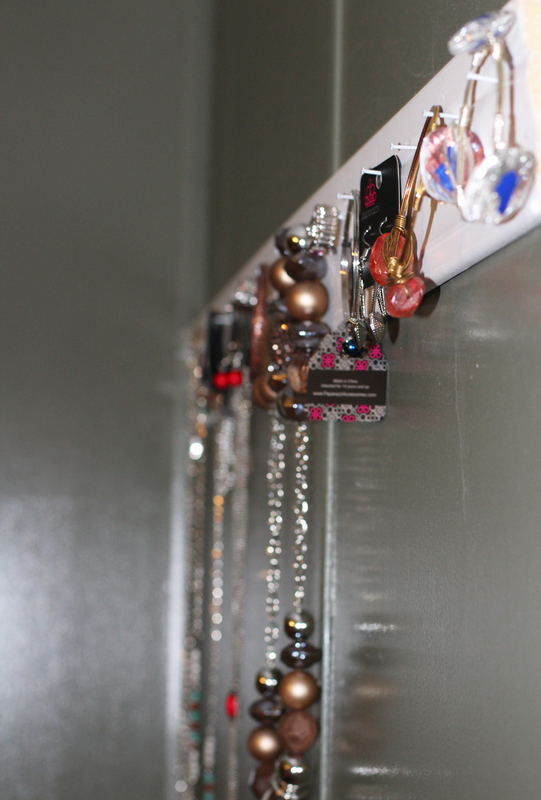 So if you're looking for a new way to store your jewelry or just a new DIY project, give this little organizer a try. I love it and you will too! High Five for Friday: Snow Much Fun!